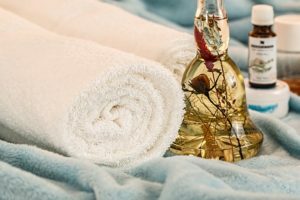 What are Beauty Therapy Courses? Beauty therapy courses are courses that equip you with the relevant knowledge you need to become a professional beauty therapist. The courses deal with beauty lessons such as facial therapy, electrology, and body therapy. Facial therapy treatment involves electrical and manual treatments on the face. It also extends to include such things as waxing, facial treatment to get rid of acne, and application of natural ingredients on the face to soften and rejuvenate it. You will learn how to perform a deep and superficial cleansing on the face. With this course, you will learn how to exfoliate, tone, and moisturize the face the right way. The course will also teach you how to perform facial massages which relaxes the tense muscles on the face. Electrology includes the treatment made on the face as well as on the body. It is mostly the removal of hair on the body using electronic devices. This practice is an age long practice that has come back to take over the hair removal scene. Electrolysis treatments performed on the face, arms, underarms, legs, and the entire body. In the advanced or post-graduate level, you will also learn treatments such as Intense Pulsed Light (IPL) treatments, red vein treatment, microdermabrasion to name a few. Body electrical treatments as mentioned in the facial therapy above. It also involved mechanical and vibratory massage. When you undertake courses in beauty therapy, you will also be able to perform nail technology like pedicure and manicure, nail fixing and nail art. To qualify as a beauty therapist, you need to have at least a diploma in beauty therapy which involves basically all the above-listed courses. These are courses designed to help those that already have certificate or experience in beauty therapy but has lost touch with the practice for a while. It is usually referred to as refresher course to help you re-enter the salon without feeling like you are outdated. While it involves courses in eyelash extensions; eyelash and eyebrow tinting; makeup application; waxing; dermal therapies; hot stone massage application; pedicure and manicure services; you, as the learner, choose what you want to learn or refresh yourself with. It is usually a 10 days course, but the duration could be as short or as long as you want. More Info. Hairdressing courses cover common hair concepts such as hair cutting and styling, hair coloring, permanent waving & chemical strengthening, and hairstyling. In the hair cutting course, you will learn how to make use of razors, clippers, and scissors to cut the hair. You will learn the cuts that are meant for men and the one for women. You will also learn different haircuts that match different shapes of face. You will learn the safest way to color hair and achieve organic hair coloring. Permanent waving and chemical strengthening involve learning the right product to use for each type of hair. Hairstyling course will teach you how to blow dry and style the hair. This includes thermal curling, thermal straightening, wet hair styling and cutting technique, as well as different hairstyles for different occasions. More Info. These are courses that you learn without needing to be physically present at the training school or salon. Your learning is strictly online. It usually requires that you study through DVDs or online videos from the website where you registered for the course. You can learn many beauty therapy courses online such as makeup, nail technology, body therapy, and facial therapy at your own pace. There are usually no timetables, pressure, or traffic woes. You don’t necessarily need prior knowledge to take online beauty courses. You get to practice what you have learned on your friends and family members. You will probably also learn how to differentiate between avant-garde and natural makeup, and how to use each of them. Intense Pulsed Light (IPL) or laser hair removal courses are considered new entrants into the beauty therapy field. However, they are fast becoming the preferred method of hair removal and skin rejuvenation. IPL/ laser hair removal course is a must for anyone considering the field of clinical aesthetics. The course will teach you how to remove hair in an almost pain-free way using non-invasive methods. After undergoing the courses, you will be able to learn how to use laser treatment to rejuvenate the face, which is known as photofacials. This eliminates the appearance of spots, fine lines, and damages caused by the sun. IPL laser hair removal courses will teach you how to target hair follicles and stop them from growing more hair. After some treatment, the hair will no longer be able to re-grow.